Alain Touwaide, Institute for the Preservation of Medical Traditions, will address the topic “The Flora Graeca before Sibthorp”. The event is presente by The Gennadius Library. 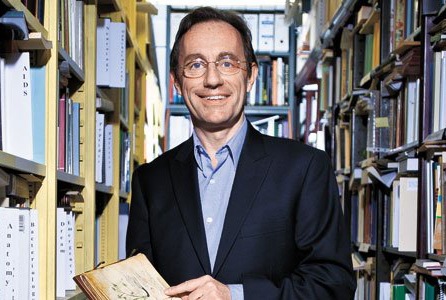 Dr. Alain Touwaide has been investigating the history of ancient botany for decades with a particular focus on medicinal plants. In his numerous publications, he has discovered several hitherto forgotten manuscripts and, on this basis, he has reconstructed the dynamics of knowledge and its transmission from Antiquity to a recent past among the several populations who inhabited the Mediterranean region. He is the Scientific Director of the Institute for the Preservation of Medical Traditions which he has co-founded in order to foster transdisciplinary research in the History of Life Sciences.